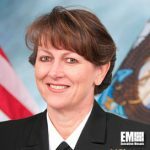 Vice Adm. Jan Tighe, former commander of the Fleet Cyber Command and 10th fleet at the U.S. Navy, assumed the roles of director of naval intelligence and deputy chief of naval operations for information warfare. She took over the posts from Vice Adm. Ted “Twig” Branch, who has retired after a 37-year military career, during a ceremony held Friday at the Pentagon, the Navy said Friday. Tighe assumed the posts two months after she was nominated by President Barack Obama. The 32-year Navy veteran started her career within the service branch as a special duty cryptology officer. Tighe has a Level 3 certification in program management under the Defense Acquisition Workforce Improvement Act and is a member of the Acquisition Professionals Community. She also held the roles of deputy commander of the Fleet Cyber Command/10th fleet, acting president of the Naval Postgraduate School, director for decision superiority and deputy chief of the U.S. Cyber Command. Tighe earned the Naval Aviation Observer wings and the Information Dominance Warfare pin during the Operation Desert Shield/Storm in the Persian Gulf as an airborne special evaluator onboard the VQ-1 EP-3E aircraft.